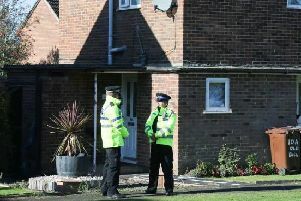 Emergency services are at the scene of a collision which saw a van strike a house in Sussex this afternoon (April 11). East Sussex Fire and Rescue service was called at 2.53pm to the incident opposite the Royal Sussex County Hospital in Brighton. A fire service spokesperson said: "Nobody was trapped. We called the police to assist us with traffic control, and requested building control and utilities to come and ensure the work to stabilise the building did not cause any other issues. "We we are working to stabilise the building using our technical rescue unit experts." Sussex Police said: "Police received reports of a van colliding with a moving car and then struck a house on Eastern Road, Brighton, at 2.50pm on Wednesday (April 11) . "The driver of the car suffered minor injuries and no other injuries were reported. "No further details at this time."